If Wolverine™ were going to go running on the trails, he would pair up his incredible hands (and blades) with a pair of X-Talon 212’s. 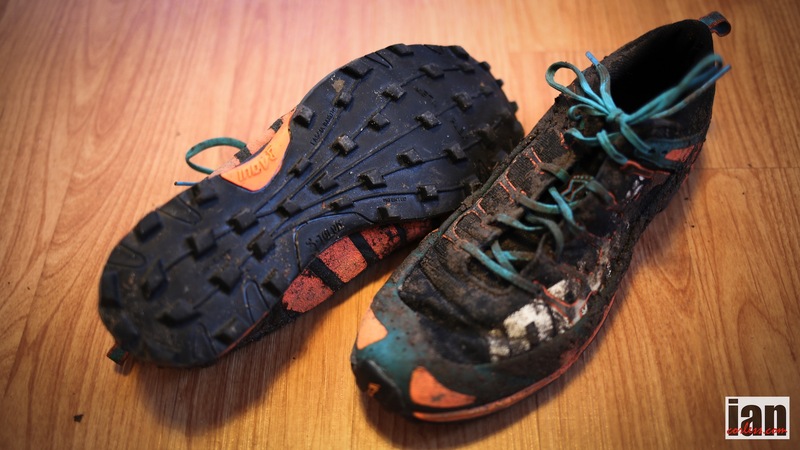 It’s a winning shoe that combines minimal weight, low drop, stability and awesome grip for when conditions are muddy, boggy, slippery or basically just downright awful. I doubt that inov-8 needs an introduction but let’s have a recap just in case. inov-8 shoes are all about being at one with the terrain and in the UK they have become the ‘go to’ shoe when you need grip. 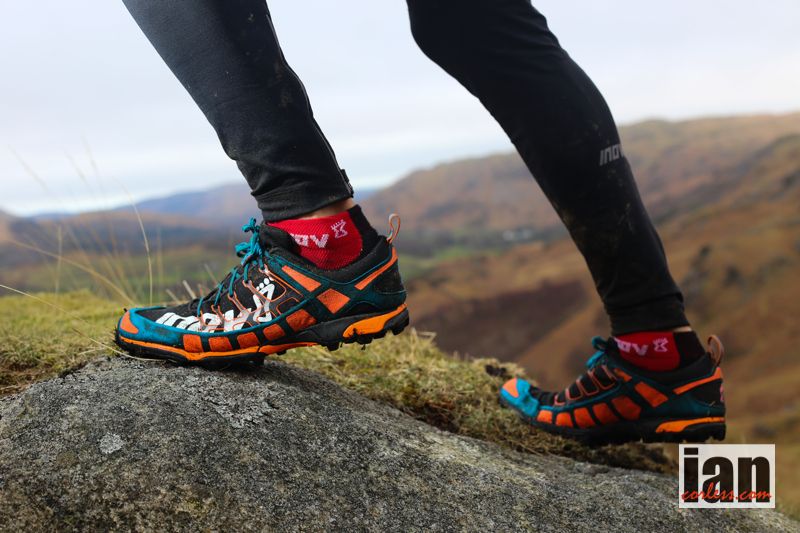 inov-8 were very much at the forefront of minimalist running and right from the off the offered a very structured and methodical approach to getting ‘lower’ to the ground. This system was a series of arrows (on the rear of the shoe) that signified the shoes drop in 3mm increments: 3 arrows = 9mm, 2 arrows = 6mm and so on. This arrow system informed runners immediately of what drop a shoe was and importantly allowed runners to make an informed and structured progression to get lower (if required). The shoe naming was also quite innovative. You had the model of shoe, for example: Trailroc, Roclite or X-Talon and then a number afterwards, so, in this scenario X-Talon 212. The ‘212’ refers to the weight of the shoe in grams. 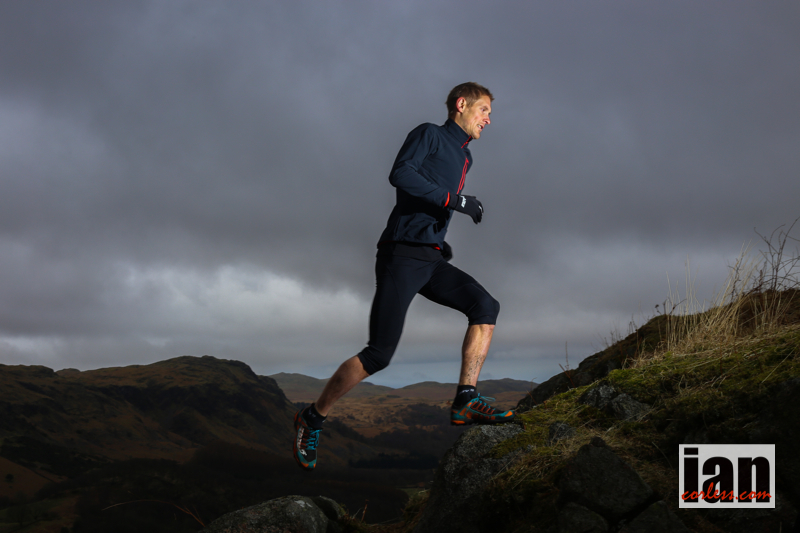 Lightweight, minimal and functional, inov-8 have pioneered running shoes for trail, rock, fell or mountain and in simple terms have endeavoured to keep runners low to the ground (with grip) via a plethora of shoe models providing a selection of drops, cushioning and grip. The recent addition of the Race Ultra 290 (Review HERE) is a prime example of how the company are looking at the growing ultra market and the need for a more cushioned shoe but still with a low drop (6mm) and a flatter outsole for extended hours running. Firstly, big news! The X-Talon is now available in a standard fit in addition to the normal precision fit. This is important news for many a runner who would have loved to use the 212 but found the tight and narrow fit of the precision just too tight for their Hobbit like feet. As mentioned previously, the 212 may well be one of the flagship shoes in the inov-8 range and you can expect to see the shoe in Trail, Mountain, Fell, Orienteering, Cross Country, Obstacle and Skyrunning races all over the world. 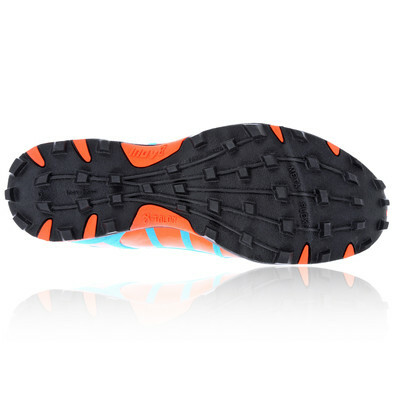 The 212 is an out and out off road shoe and as the name suggests, the grip is Talon like. I used the standard fit in my normal shoe size UK9.5 so it would be fair to say that the 212 is true to size. However, even though this shoe is standard fit it still fits super close in the toe box, you almost certainly would want to try this shoe on before purchasing. Please remember that the 212 are an out-and-out off road and soft ground shoe, so it is important that your foot has minimal movement within the shoe. This is why the shoe was originally designed in precision fit only. A close fitting shoe is ideal when climbing, descending or contouring when on soft or uneven ground. The lacing system allows you to pull the shoe tight to your foot and cradle it offering more support. Spend a little time tweaking the lacing and you will be rewarded with a wonderful close and natural contact to the ground. First off, the shoe is super flexible. You can bend it anyway, fold it in half and the shoe does not resist. The shoe upper is tough and quite thick and I have heard criticism saying the upper is too thick! Of course this all comes down to personal preference but if you are bombing up and down wet and muddy terrain everyday, you need an upper that can withstand that sort of abuse… I have had my 212’s for 6-months (probably 3-runs a week) and I have well and truly abused them without failure. That’s a plus in my book. The shoe has Meta-Flex™ and Meta-Cradle ™, which provide a flex groove and upper webbing support at the metatarsal heads. In all honesty I am not fully sure what that means but if that means good flex and support then I agree. The sole of the 212 looks like a football boot with a series of spaced out rubber nodules that are made of soft ‘sticky’ compound rubber as one would see on some climbing shoes. What makes this shoe work so well off road is the fact that the grip is spaced out and this therefore stops soft ground filling and clogging up the grip of the shoe. The soft rubber works really well on rocks, gravel and other dry surfaces and should the rocks become wet, grip is still highly impressive allowing you to run with confidence. One downside of the soft rubber is that if you go on the road it will wear down. This is not a criticism of the shoe. It’s basically just a heads up to warn against excessive road use. I should point out that my everyday run requires at least a couple of miles on road or pavement to get to the trail and yes, my sole has started to show wear and tear but that is after 6-months of regular use. Cushioning is minimal and the drop (2 arrows) is 6mm; this provides a great contact for the trail beneath your feet. Ironically, the shoe feels very comfortable on hard trail and even road. I would say it feels surprisingly cushioned despite its minimal looks. 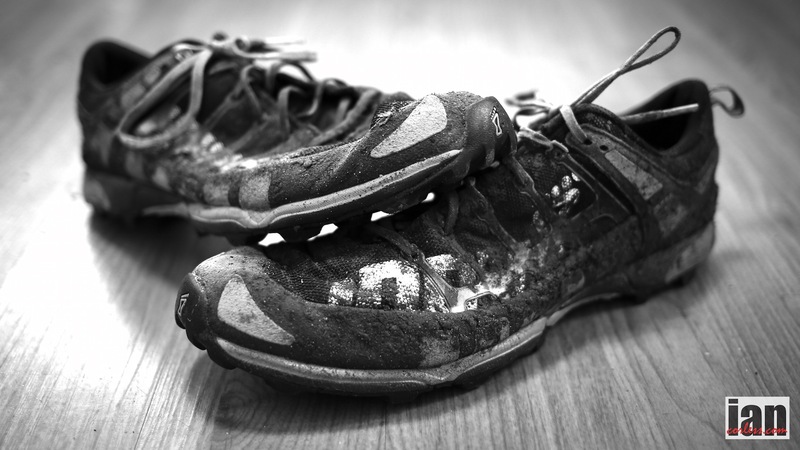 inov-8 do not use a rock plate to protect your foot against small and/ or sharp objects and therefore you can sometimes feel these objects when running. Th front of the shoe has a rubber bumper but toe protection is minimal. The rear of the shoe holds the foot well and if you have the right size shoe and the laces adjusted correctly, you have have little or no movement when running. The 212 are all about gaining grip on soft and boggy ground. If you use the shoe in these conditions you will be over the moon by the grip, feel and security offered. The upper is durable and the lacing perfect. The addition of a standard fit in addition to the long established precision fit now ensures that you can have comfort despite your shoe size or width. The combination of these elements makes the 212 my ‘go to’ shoe for anything that resembles fell running or soft ground running (including snow.) I have used the shoe for 6-months, accumulated 100’s of hilly miles and the shoes have performed perfectly. They have also been my preferred shoes when running Vertical Kilometres™ particularly when the terrain has been grassy and steep. The low drop allows great feel for the terrain below and although relatively minimalist from a cushioning perspective, they do offer great comfort for runs of 2 to 3-hours. This comfort is extended if the ground remains soft and boggy. It’s a very specific shoe for a very specific use and therefore this would be an ‘addition’ to your shoe collection. It’s almost unfair to say this is a con but for some, they want a wonder shoe that does ‘all things,’ the 212 is NOT that shoe. The lack of a rock plate does mean that you can feel small and sharp objects occasionally. The shoe is very flexible with minimal cushioning and therefore one would need to be attentive to how long one runs in them. Of course this is very personal to the user… one person may find 60-mins enough, another 3-hours. Certainly, the more you use them, the more time you will be able to spend in them. The X-Talon 212 really is a top quality shoe with a very specific use. If you are looking for a shoe to do several types of running (road and trail), the 212 is not for you. However, if you are looking for grip on off road terrain then you would be hard pressed to find a shoe that does the job better than the 212. The addition of a standard fit to the long established precision fit should mean that if you have tried the 212 in the past and found them too narrow, they may very well fit you now! Both models are unisex. If you prefer a more minimalist shoe with lower drop, inov-8 make the X-Talon 190, which has 3mm drop, a stripped back upper and the same talon like grip. inov-8 are strengthening the X_TALON off-road running shoe range (212 & 190) with the addition of the new X-TALON 200. 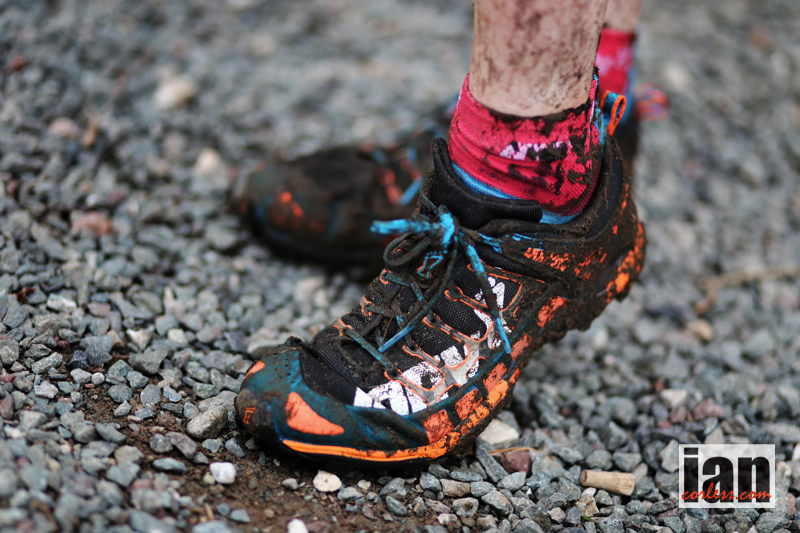 Available in early 2015, the shoe looks set to be a huge hit with off-trail runners and obstacle racers. 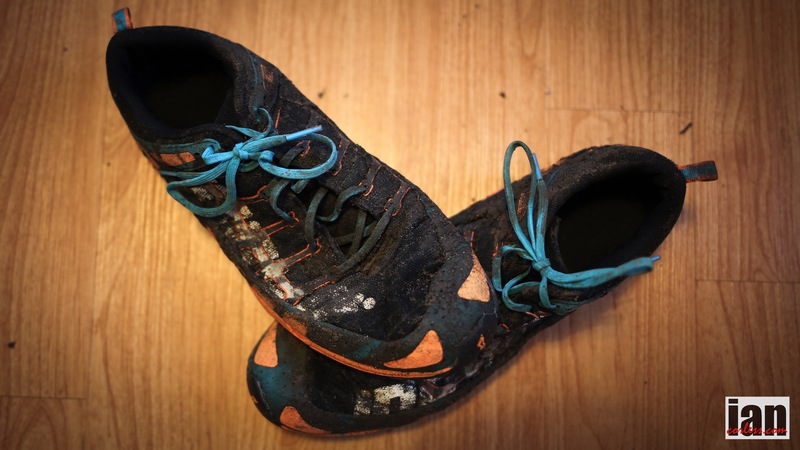 This entry was posted in Equipment Reviews, Uncategorized and tagged 190, 212, best shoe for fell running, British, cross country, Fell Running, Inov, Inov 8, Inov8, Mountain, Mountain Running, obstale racing, off road shoes, run shoes, shoes, shoes for muddy trail, Skyrunning, the best shoe for muddy trail, trail, UK, x-talon 190, X-Talon 200, x-talon 212, X-Talon200, xtalon, xtalon190, xtalon200, xtalon212 by talkultra. Bookmark the permalink. Any clue what the stack height might be on these? I’m curious and have been nosing around the net but cant seem to find any answers. I just bought a pair to replace my 2013 model, and I find the uppers to be a bit thicker and the soles to not be a supple as my old ones. Maybe they’ll become more flexible after a few runs. 4 months update. I’d bought the standard fit in 9.5 UK sizing. They did become a bit more supple, but they also seemed smaller than my 2013 precision fit pair. Downhill sections were destroying my toes. I bought another pair and went up half a size and I still get toe smash in the downhills 😦 I may have to go back to the precision fit as they were tip top for me.